Photo of Brian Teare (right) by Ryan Collerd, courtesy of the Pew Center for Arts and Heritage. 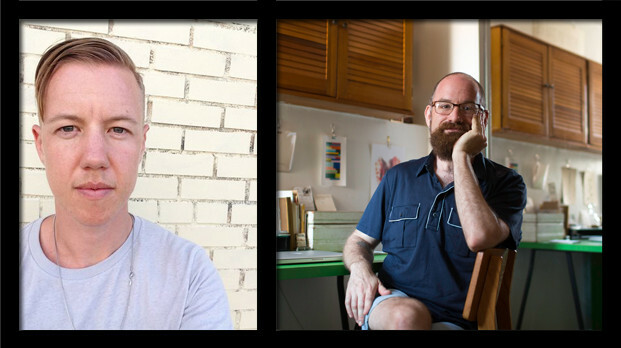 Brian Teare came back to the Kelly Writers House on October 30, 2015, to speak with Jaime Shearn Coan about his new collection of poetry, The Empty Form Goes All the Way to Heaven, published in 2015 by Ahsahta Press. Shearn Coan describes Teare’s collection as one that imagines “how to language what is un-languageable.” In this PennSound podcast, Teare and Shearn Coan talk about writing out of chronic illness, the book’s engagement with the work of American abstract painter Agnes Martin, and how poetry explores what sorts of shared communal narratives are possible. 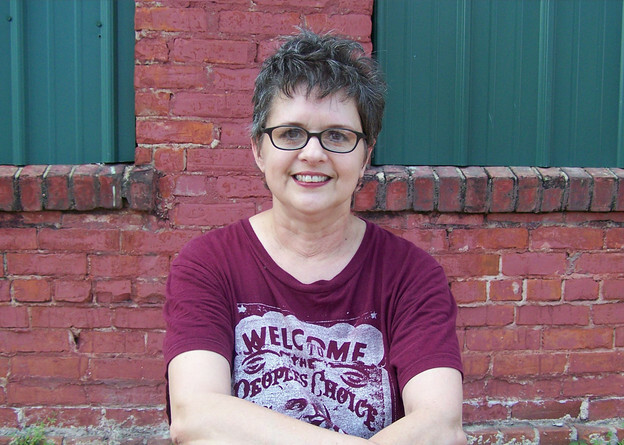 Angela Genusa is a writer and artist, formerly of Austin, Texas and now living in Louisiana. Her recent conceptual works include Simone’s Embassy (Eclipse Editions, 2015), Spam Bibliography (Troll Thread, 2013), Tender Buttons (Gauss PDF, 2013), and Jane Doe (Gauss PDF, 2013). 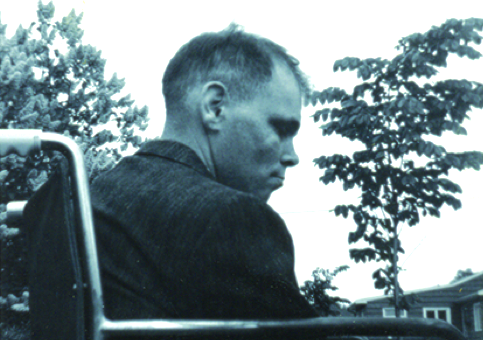 Larry Eigner, photograph dated May 1959 (from the Poetry magazine archive). Michael Kelleher, Daniel Bergmann, and Ron Silliman joined Al Filreis for a discussion of three poems by Larry Eigner. The first, “Again dawn,” was written in November 1959; the second, “A temporary language,” was composed on September 1 and 2 in 1970; and the third, “Unyielding / rock,” was written on May 31, 1971.